Your new home has been lovingly maintained by the current owner for thirty years. A new roof was installed just five years ago. This end unit home features hardwood floors throughout that look new thanks to a strict "no shoes" policy. Enter into the living-room with working fireplace. Continue into the sun-soaked dining room with breakfast nook. The kitchen has tile flooring, a gas range, and entry into the side and backyard. On the second floor youll find the master bedroom which boasts three closets and faces East for tons of morning light. The middle and front bedrooms are very good sizes each with closet space. Enjoy a soak in your whirlpool tub/shower in the main bathroom. The fourth bedroom has the entire third floor and own full bath, and with a little elbow grease can truly shine. The basement is the perfect project for a homeowner looking to add their own touch and create additional living space. In the basement youll find the washer/dryer, garage, a half-bath, and entry onto the driveway. A white vinyl fence creates privacy for your backyard which has both a concrete patio and plenty of lush grass. You will love quiet and convenient Overbrook. 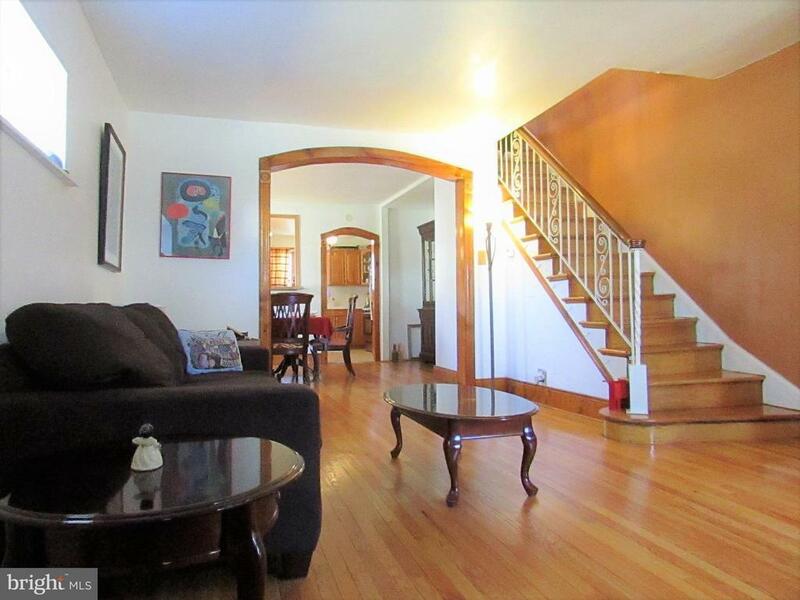 Close to shopping on City Line Ave, public transportation on Lancaster Ave, and easy access to 76.